Three 99-year leasehold conservation shophouse units in Geylang and Tanjong Pagar have been put up for sale. The first property, at 157, 159 and 161 Geylang Road, has a land area of 2,988 sq ft, and an estimated floor area of 8,331 sq ft, its marketing agent Savills said yesterday. 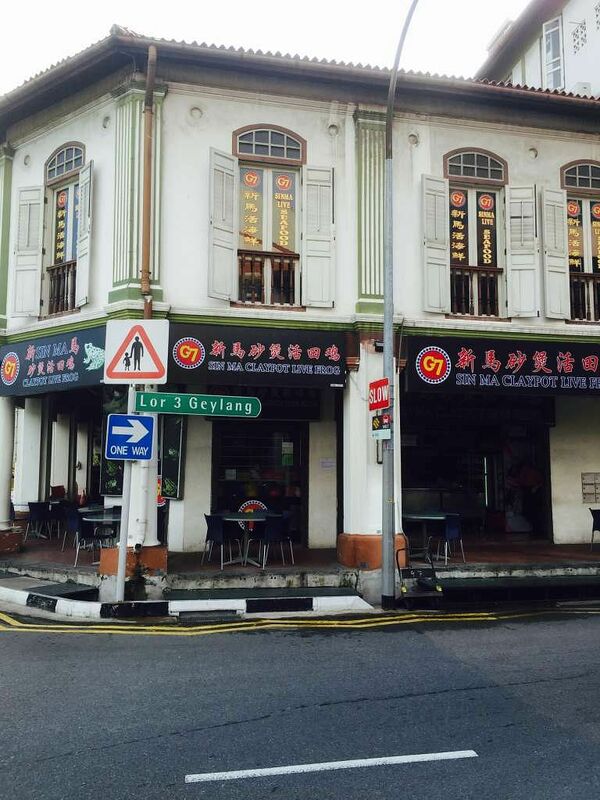 The guide price for the two-storey corner shophouse, with a four-storey rear extension, is $10.8 million. This translates to about $1,296.40 per sq ft (psf) on the floor area. Located near Kallang MRT station, the shophouse enjoys "prominent double frontage" along Geylang Road and Lorong 3 Geylang, Savills said. The current tenant is G7 Sin Ma Live Seafood Group. The property, with 76 years left on its lease, is zoned for commercial use, with a plot ratio of 3.0, and an allowable building height of up to five storeys for new rear extensions under Master Plan 2014. A pair of adjoining conservation shophouses at 84 and 86 Tanjong Pagar Road, in the Chinatown Historic District, is also up for sale. The two units are held under separate titles but will be sold as a single property, Savills said. The three-storey shophouses have a total land area of 1,653 sq ft, and an estimated floor area of 4,564 sq ft.
With 71 years remaining on its tenure, the indicative pricing for the property is $9.5 million. This works out to $2081.50 psf on the floor area. Savills said the shophouses are 200m from the upcoming Maxwell MRT station on the Thomson-East Coast Line, amid new developments in the neighbourhood, including Tanjong Pagar Centre, which is set to be Singapore's tallest building when it is completed next year. The adjoining units now have multiple tenants - with Gold's Gym on the ground floor, an office on the second floor and tenancy being negotiated for the space on the third floor. The two Tanjong Pagar shophouses are also zoned for commercial use under the current master plan. As such, there is no restriction on foreign ownership for the properties, and no Additional Buyer's Stamp Duty or Seller's Stamp Duty will be imposed on the purchase of the shophouses. "The rare availability of these properties with excellent attributes presents an exceptional and exciting opportunity for investors and end users seeking prime commercial shophouses," said Mr Derrick Tan, associate director of investment sales at Savills. Savills is inviting offers for expressions of interest to buy the properties, in an exercise closing on Nov 12.